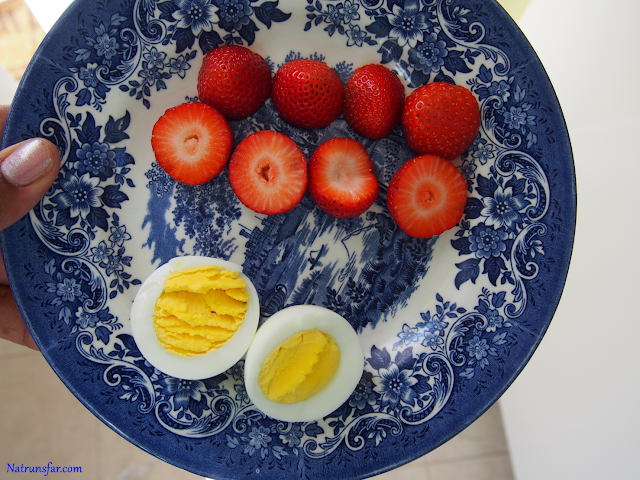 Natrunsfar: Dusting Off The Rust + Protein Intake! Dusting Off The Rust + Protein Intake! Last day of September. This has felt like the fastest month of the year for me. How are you guys on this beautiful Wednesday?! Dynamic stretching and all of my exercises, as time consuming as they may be, are so important for my body right now. I did a really good warm up and was sweating by the time I start my run. My coach wants to make sure I am getting enough protein each day, so I have been paying close attention to my intake. 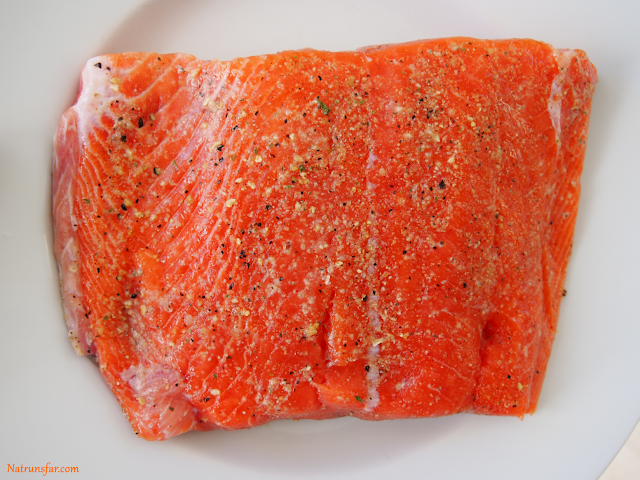 I'm grilling this beautiful piece of salmon for dinner tonight! 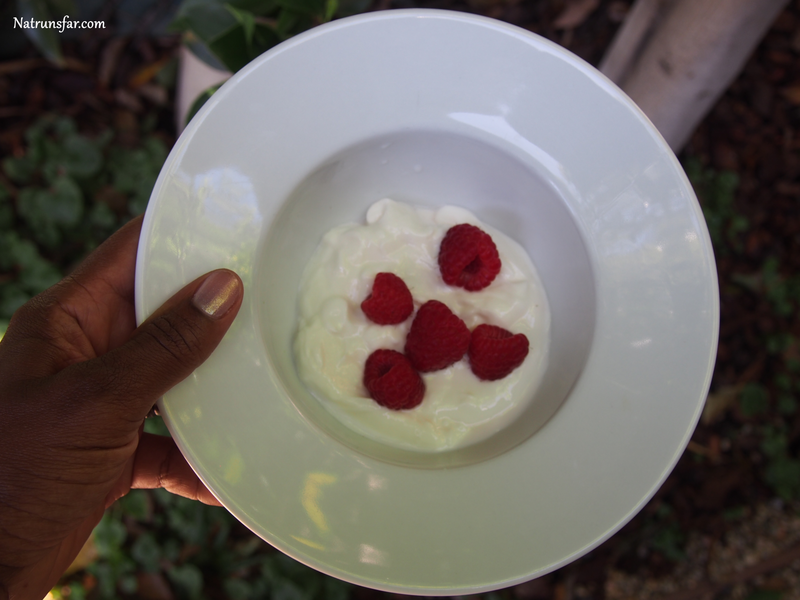 Greek yogurt and raspberries for snack time.. Protein helps our muscles recover which is why it is so important for runners to have enough in their diet! Check out two helpful articles HERE and HERE about protein intake! Alright, friends. I am off to pick up my sweet girl from preschool. I hope you have a wonderful rest of your Wednesday! How much protein do you have each day? 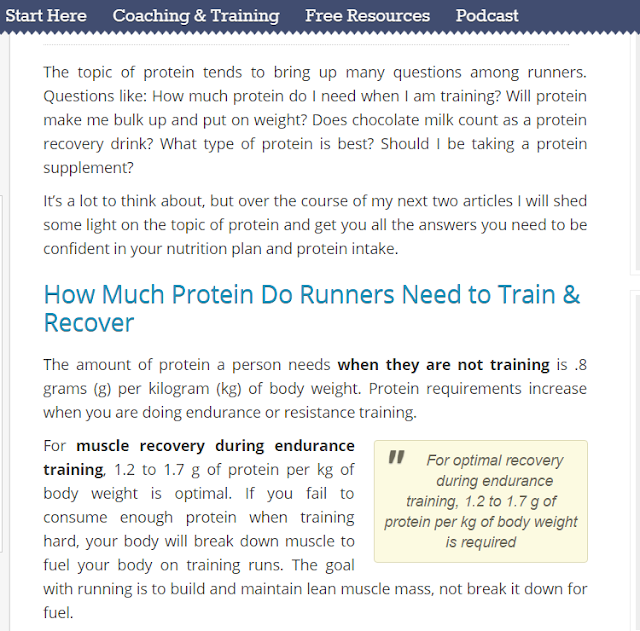 Do you find a difference in your running when you don't get enough protein? What are you having for dinner tonight? !